바다와 육지 경계에 있는 청사는 각 업무시설의 특성을 고려해 바다를 향 해 열린 조망을 확보하였다. 건물 자체가 언덕이 되어 시민에게 열린 공간 을 마련하고 다양한 문화복지시설을 계획하여 365일 활기찬 시민의 공 원이 되도록 하였다. 육지와 바다에서 접근성을 최대한 고려해 건물 언덕 과 공원 및 바다와 연계된 보행 산책로는 언제나 시민에게 편안한 휴식공 간을 제공한다. 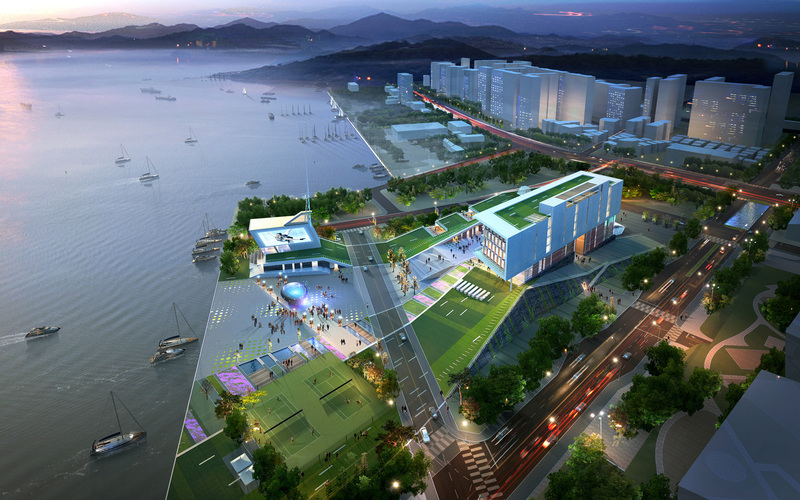 As a symbol of Masan, it is design not to overwhelm the surroundings by being placed between the ocean and the mainland. 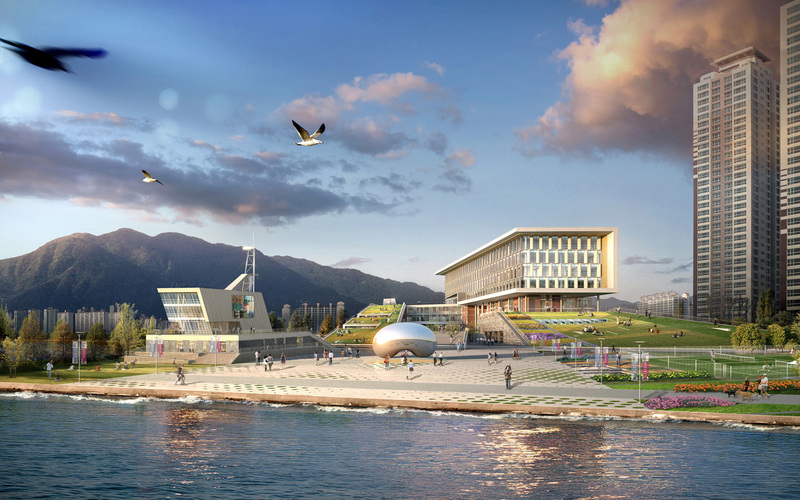 Open view to the ocean increases the work efficiency and the building itself becomes the hill that provides open space to the public. 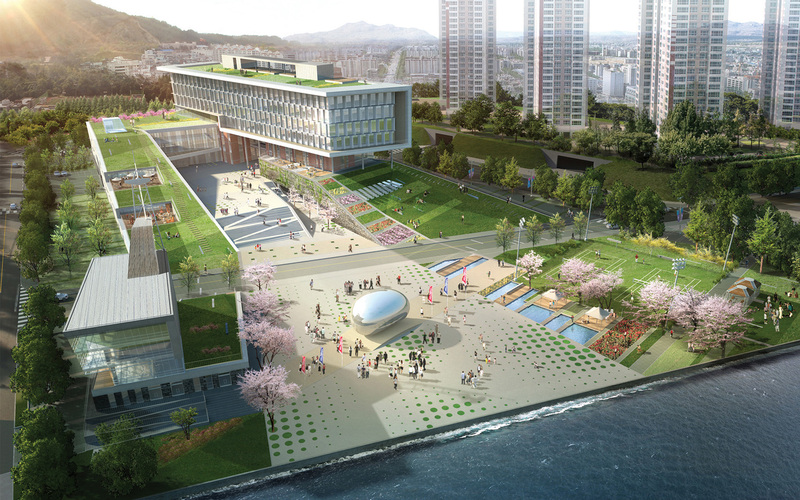 Promenade to the ocean, easy accessibility to the building and the open public spaces are the peaceful present for the citizens of Masan. 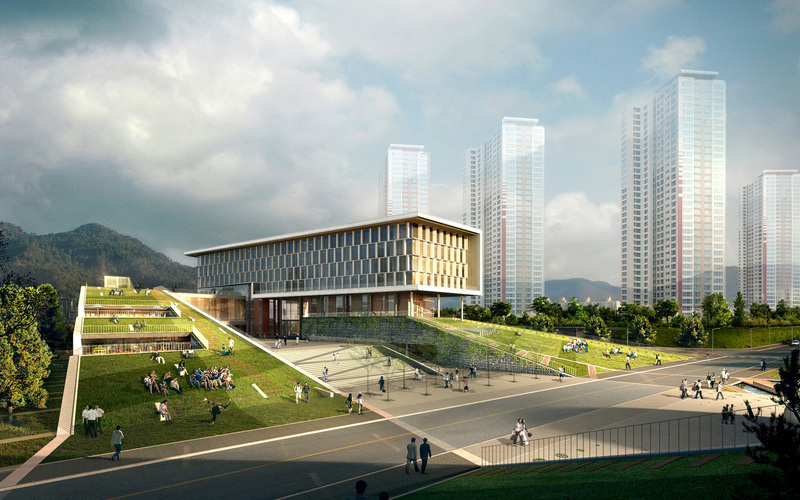 To break from the old images of government office, various cultural welfare spaces and exterior spaces are planned.